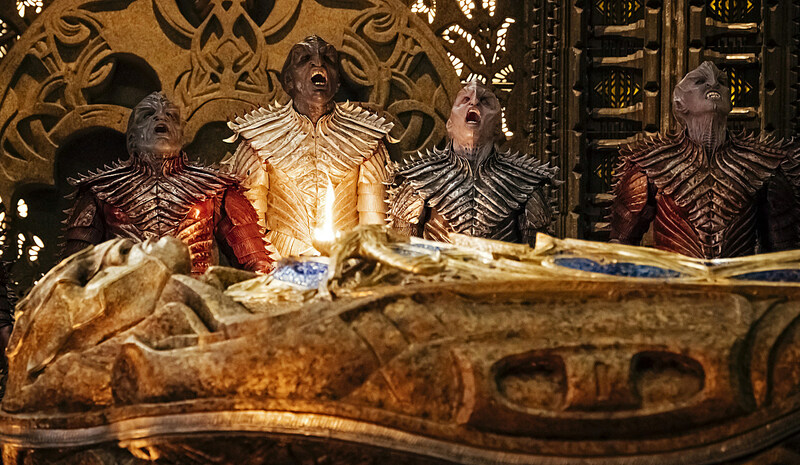 If you were wondering how Star Trek’s TV return might look after three action-packed reboot films, look no further than Star Trek: Discovery. The new Comic-Con trailer marks the most action-packed Trek yet, featuring first looks at the title ship, Harry Mudd, and new details that might just break the original canon. Not only does the explosive new trailer introduce us to Jason Isaac’s Discovery Captain Lorca and Rainn Wilson’s Harry Mudd, but the panel also confirmed that Sonequa Martin-Green’s Michael Burnham is actually the stepsister of Spock (that Sarek connection had to lead somewhere). Don’t worry too hard about Spock never mentioning any kind of sister, however, as producers asked that fans be patient with any apparent breaches of continuity. 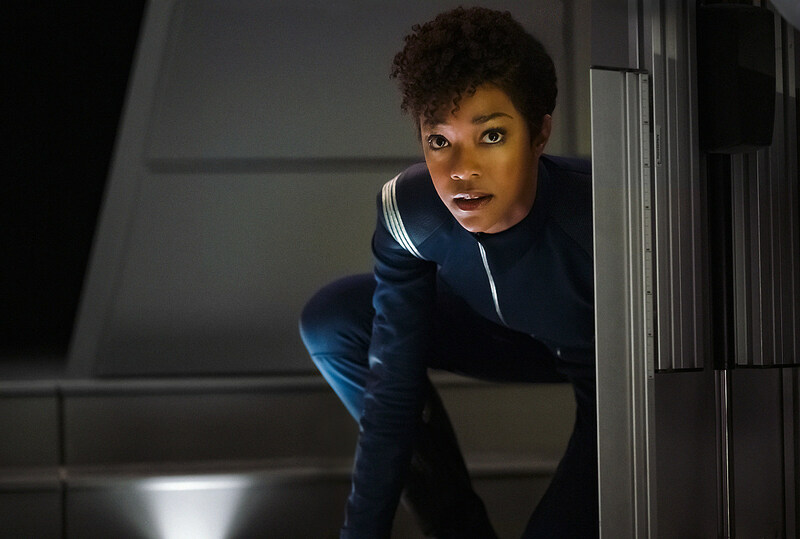 Featuring Sonequa Martin-Green as First Officer Michael Burnham, Star Trek: Discovery also has among the cast Rainn Wilson as Harry Mudd, Jason Isaacs as Captain Lorca, James Frain as Spock’s father Sarek, Doug Jones as an alien science officer, Adam Rapp as the TV franchise’s first openly-gay character and assorted crew and several Klingon roles. 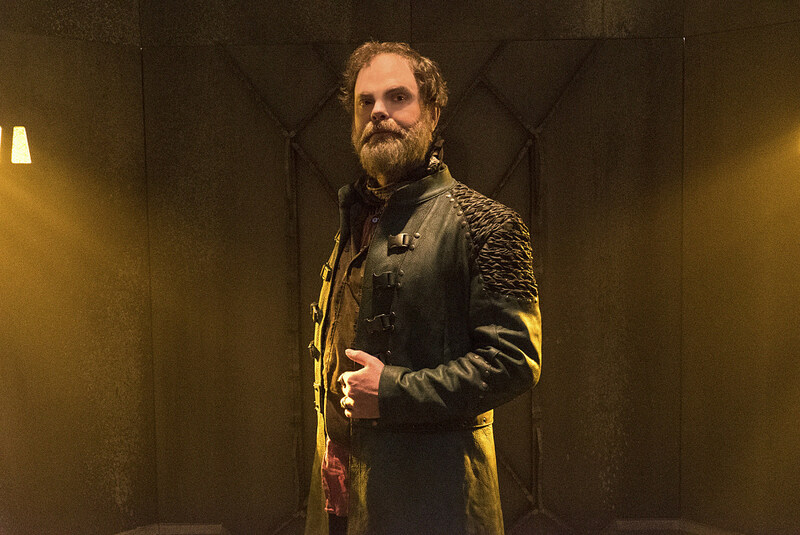 Ex-showrunner Bryan Fuller also previously stepped up to clarify his limited involvement in the project going forward. 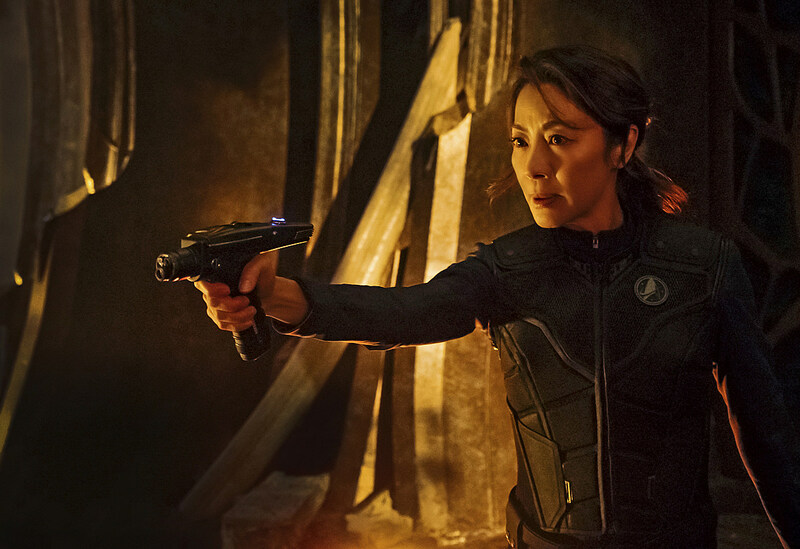 Shooting primarily in Toronto, the new 15-episode Star Trek: Discovery takes place 10 years before Kirk’s original Enterprise mission, exploring the fallout of an event referenced, but never seen in the original series. Wrath of Khan director Nicholas Meyer has also joined the creative side along with Gene Roddenberry’s son Rod, fan-favorite Voyager novel alum Kirsten Beyer, franchise vet Joe Menosky and Heroes writer Aron Coleite.